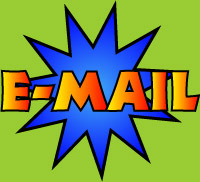 Planning a fund raiser? Want to place an order for 25 or more copies? Contact the author to see if you are eligible for a discount. Professionally, author Peggy Crane spent her career as a reading teacher and curriculum director. 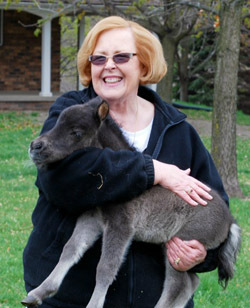 After she retired she was introduced to miniature horses and it was love at first sight. This came as no surprise to family and friends as she and her husband, Tom, had raised their daughters on an 80 acre hobby farm that had looked a little like Noah's Ark. Mrs. Crane lives in Grand Blanc, Michigan and is an active community member. She volunteers at the state and local level and enjoys spending time with her family, friends and pets. My first miniature horse didn’t come into my life until I was long retired. I had always loved horses but due to health problems it was clear that my full sized horses were just too much for me to handle. Mini’s were the perfect answer. They were versatile and lent themselves to many activities. I only wish we had been introduced years earlier. I find my minis to be loving, intelligent, empathetic and curious. Like any horse, they are a joy and a nuisance at the same time. I wrote Why Do I Always Have To Stay Home? after my husband and I took Matty to visit Avalon Hospice in Flint, Michigan. The staff and patients were expecting a visit from a little horse but no one had anticipated how sensitive Matty would be toward the needs of the very ill. She would walk into their bedrooms and go right over to the bed and let them pet her. Some of the patients were too weak to reach out to her and she would go over and lay her head on their chests. It was such a moving experience that I knew I wanted to share the story with others and that is when I decided to write my first book.